Are you looking for a way to help Make-A-Wish Missouri this summer? 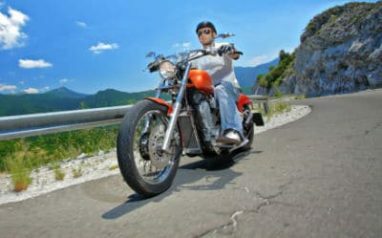 If you’re a biker or fashion enthusiast, there’s a Make-A-Wish Missouri event that’s perfect for you. The 8th Annual Ride For Wishes motorcycle ride is taking place June 11-12 and the To The Moon Fashion Show takes place June 23. Both events are fun ways to help raise money so more Missouri kids can have their wishes granted this year! The 8th Annual Ride For Wishes is a great way to get out your motorcycle and enjoy a day helping Wish Kids. Ride For Wishes takes place at the St. Charles Harley Davidson (3808 W. Clay St.). The schedule of events includes a pre-ride celebration on Saturday, June 11. Saturday’s festivities include pre-registration, a silent auction and 50/50 auction ticket sales from 10 a.m. to 4 p.m. There will also be a “Bike Blessing” at noon and a performance by The Memphis Ride Band starting at 1 p.m.
On Sunday, June 12, you can register from 8:30 to 11:30 a.m. The silent auction and 50/50 ticket sales will go from 10 a.m. to 3 p.m. and the ride will start at 12:30. Those who aren’t riding can stick around for performances by the Doug Holly and Chain Drive bands from noon until 4. The day concludes with awards and the 50/50 drawing after the riders return. Ride For Wishes is coming up fast, but there is still a lot of fundraising to be done! If you’re a biker, you can help make the event a success by getting involved. The basic registration level includes a $15 donation per rider. Each registrant at this level will receive a Make-A-Wish Ride Pin and lunch for the day. If you’d like to contribute even more, there are several other fundraising goals you can achieve. Each fundraiser will receive lunch and a ride pin, but you can earn more perks on top of that. Raising $100 to $1,000 has additional incentives, including a Make-A-Wish carabineer, t-shirt, drawstring backpack or gift catalogue. Check out the fundraising levels to learn more. You don’t have to be a biker to make a difference at the Ride For Wishes event. Those who don’t participate can still help out by sponsoring a rider, becoming a sponsor or making a general donation to the event. Learn how to get involved on the event website. On Thursday, June 23, don’t miss the To The Moon Fashion Show benefiting Make-A-Wish Missouri. The event takes place at Howl At The Moon (601 Clark Ave.) in St. Louis. Local designers will be showing off their latest designs on the runway while dueling pianos fill the room with music. The event will also feature a local Wish Kid on the runway to show off her style and bring awareness to Make-A-Wish Missouri. General admission tickets are $25 each, or you can buy a VIP ticket for $40. The VIP package includes three drink tickets, light fare and a complementary gift bag. If you don’t have a bike to bring to the Ride For Wishes, you can still help Make-A-Wish Missouri with a vehicle. Just donate an unwanted car to Wheels For Wishes, benefiting Make-A-Wish Missouri! We even accept boats, RVs, motorcycles and other vehicles. Our car donation program is an easy way to get rid of an unwanted vehicle while helping a great cause. You even receive free towing from anywhere and a great tax deduction. Donate your car online or call us at 1-877-431-9474 today!